Vaccine carriers (cold boxes) play a critical role in preserving the ‘Cold Chain’, the series of temperature controls required to maintain vaccine potency from manufacture through inoculation. This product has been approved for use by The United Nations Children’s Fund (UNICEF). Each vaccine carrier comes with its own water-based coolant packs as well as a detailed manual. Vaccine carriers are insulated containers, lined with coolant packs to keep vaccines and diluents cold during transportation and/or short period storage. 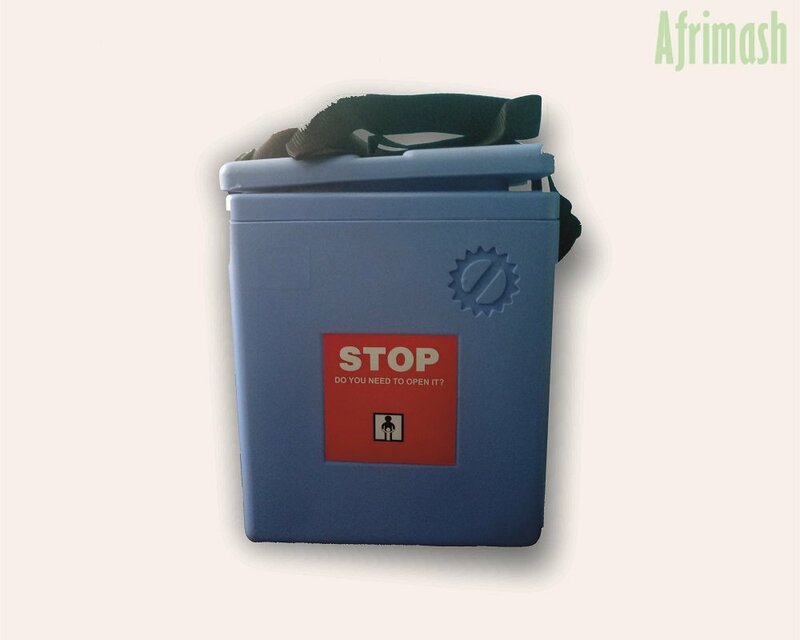 This product is suitable for veterinarians and health workers during immunization and extension services. Thus, the coolant packs provide the cooling energy for a limited time period (when the refrigerator is out of order or being defrosted). 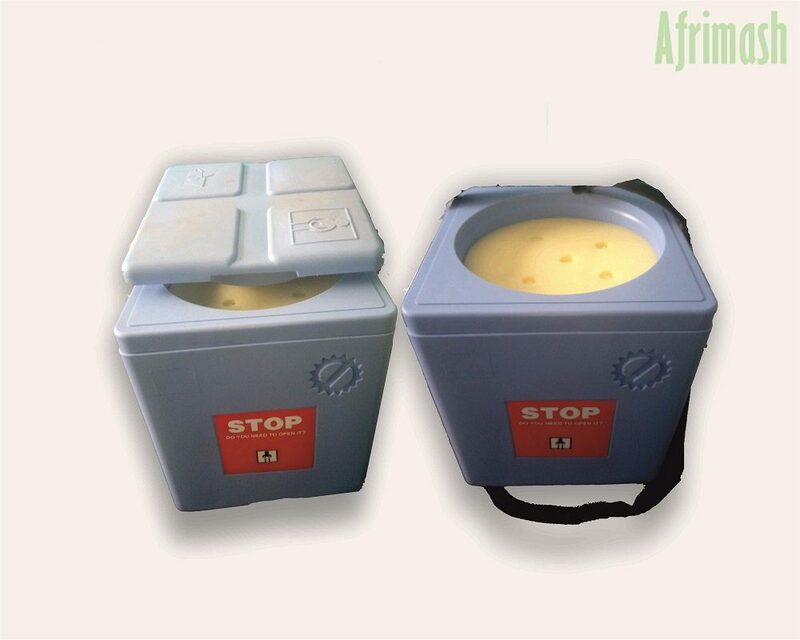 Vaccine carriers are used to collect and transport vaccine supplies from one fixed vaccine store to another, and from vaccine stores to health facilities and the field. The cold box arrangement is fairly simple. Requires a low level of skill for use and easier to carry when walking. Features options for packing the coolant packs with vaccine vials, in accordance with the instructions provided with the product (drawings inside the cover of the box/carrier). The vaccine storage capacity of is between 0.9 to 5 liters depending on the size (small, medium and large capacity boxes). They can be carried by a single health worker/veterinarian traveling on foot or by other means, where the combined journey time and immunization activity ranges from a few hours to a whole day. 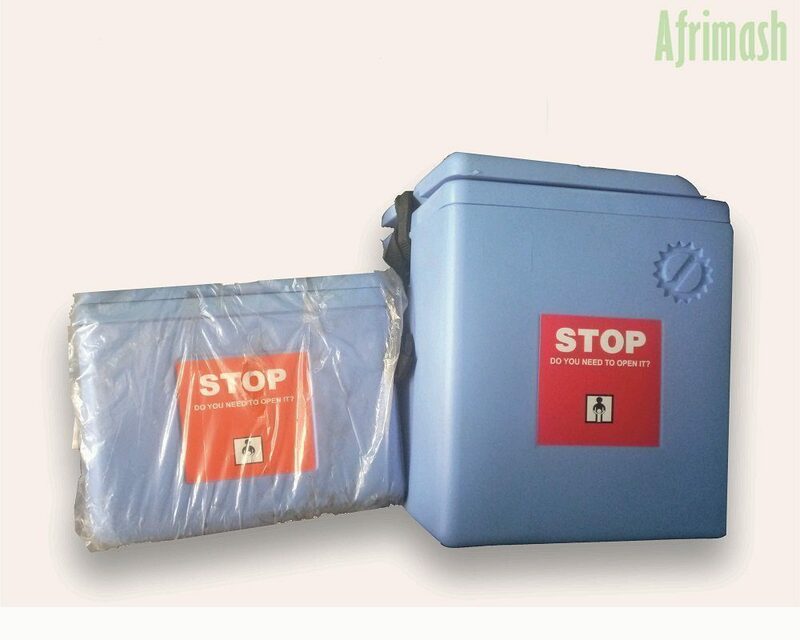 It is recommended to include a second set of coolant packs for every cold box/vaccine carrier, to cover for interrupted service delivery at all levels. The weight and the volume of the box, which depends on the mode of transport, by motor vehicle, bicycle, or hand. The number of coolant packs compatible with the cold box to realize its rated cold life. Coolant packs (often called ice packs) are flat, square plastic bottles that are filled with water and cooled. They are used to keep vaccines cool inside the vaccine carrier or cold box. The number of coolant packs required for a cold box or vaccine carrier varies according to the type of cold box or vaccine carriers. Every cold box or vaccine carrier should have at least two sets of coolant packs. Thus one set of the packs could be cooled, while the other set is being used in the cold box or vaccine carrier. Medium: 8 hours at +43 degrees Centigrade (with four 0.4 litre cool ice packs at +5 degrees), Small: 4 hours at +43 degrees with two 0.4 litre icepacks at+5degrees.